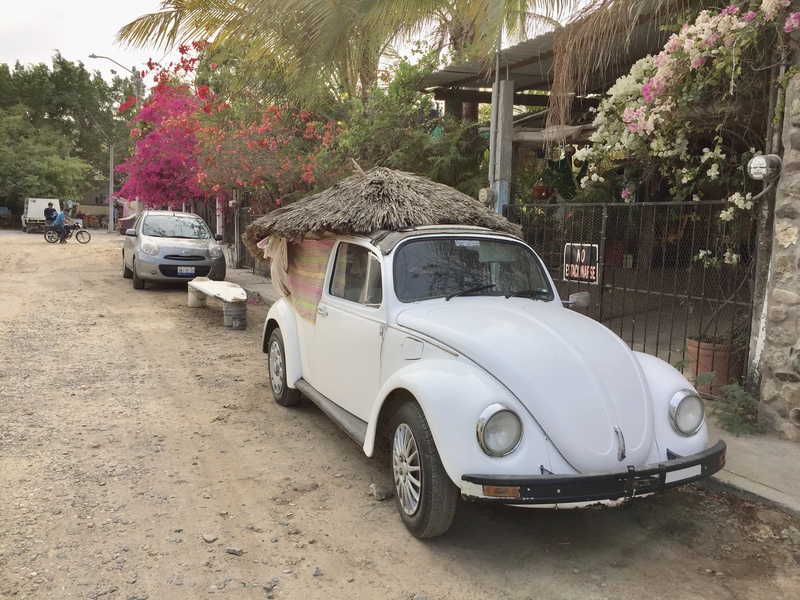 A large segment of the commerce of Punta de Mita is mobile – wheels… 4, 2 – motor/feet, whatever. Fish, pastries, chicken, car washing, and water. Everyday, all day long the water guy in a small rusty pickup truck meanders up and down the streets of Punta de Mita, honking his horn… a lot and loudly. There’s a guy at the end of my dead-end street that gets so pissed at him for the noise so much sometimes he can’t resist and he’ll yell at water guy, “Silenco (and some other words google doesn’t know)!” To which water guy sits for awhile playing tunes on the horn. I yell at him too but he can’t hear me. Well the other day I was downstairs and heard the horn and remembered I needed water so I ran out to him but it wasn’t our regular water guy! OHNO! What could I do? Here was this young buck in a fancy little truck with no rust on it at all and what was I going to say? “Uh, no, it’s ok… I don’t need water”. Well I didn’t do that. So he trotted the jug of water up the stairs – trotted! I could barely keep up! ← El Chepe! The Train of the People!